Tamboi Queen Cruises is a family owned and operated cruise company and is the longest operating cruise company in Port Stephens. Early settlers home built by convicts. The Court House, erected in 1838 and still in use, and the church (1836) and rectory (1831) of hand-hewn sandstone. Stroll around the village and just browse or take home that special memento or gift. A popular pastime in this beautiful scenery. 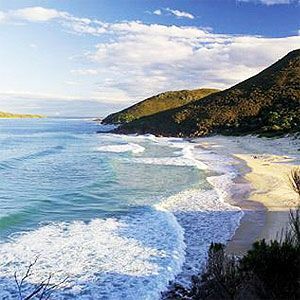 Outstanding panoramic views can be obtained from Fisherman's Bay headland, Fingal Bay, Gan Gan Hill, Soldiers Point and Box Beach.